You can’t be serious, right? I am sure that this was the first thought you had after reading the first line. These are utopic words and achieving such a change is impossible. It is impossible because our desire to differentiate ourselves from others is stronger than our will to appreciate our similarities. Since childhood, we were taught that our own language, history, culture, nationality, and religion define us as individuals and members of specific communities and only preserving our identity will ensure our survival as independent communities. Human values, solidarity, equality, and human dignity were rarely discussed in classes. We were raised to strive to be different, yet we dislike the ones who are different from us. Since blaming teachers and educational systems will not change the reality in which we are living now, I decided to take a small step towards the desired change. 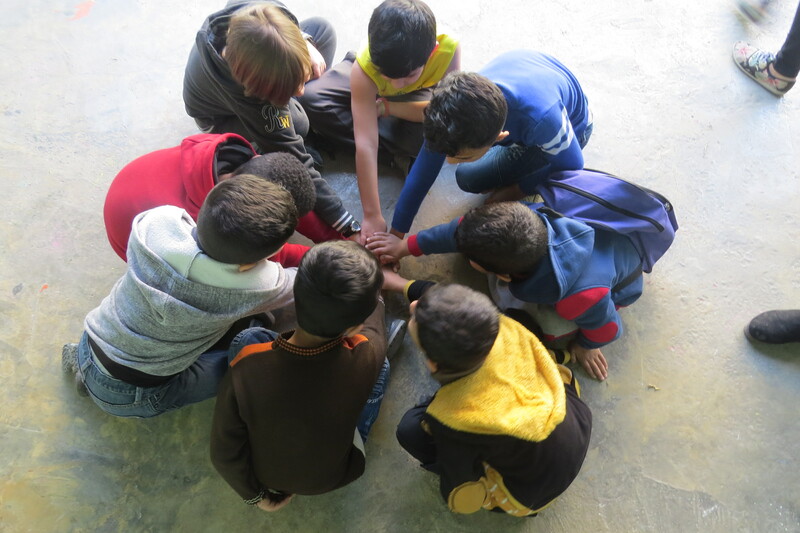 Last summer, I volunteered in a summer school organized for refugee children, close to the area I live in. 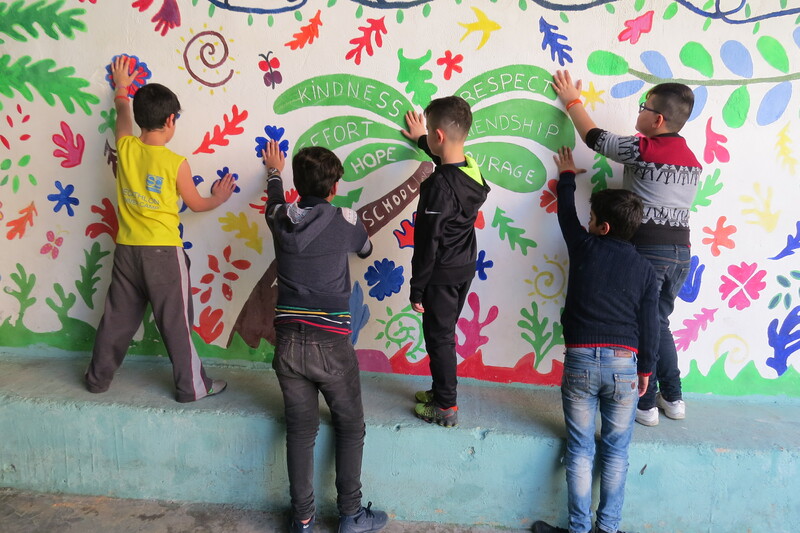 Syrian and Iraqi children, aged between 5 and 15, divided into different groups, spent most of their summer vacation in classes where they learned drawing, English language, dancing, and singing. As the music teacher, my aim was not only to prepare great performances for the last day festival but also to teach my students values through songs which were about unity, love, and friendship as well as through games related to children’s rights and children’s responsibilities. It was during one of these games when I realized that values cannot be taught for they are abstract concepts which come to life only when practiced. These values, rights, and responsibilities will remain within the walls of the classes since the outside world and the societies in which these children were being raised in lacked the awareness and the ability to practice them. Each student was given two pictures and one colored cardboard. Only one of these pictures was related to a child’s right, which the student had to identify, stick on the cardboard and present in front of the class. After we finished our discussions about the right to education, decent shelter, and health, eleven year old Marvin raised his hand asking, “What about the right to work?” It was clear that his family was unable to send him to school and he was given the responsibility to support his family. I explained that indeed, the right to work is a human right. If only he knew that he was too young to be concerned about this right. Who should be held accountable in such a situation? A few days later, I was having a discussion with my students about friendship and respecting the opinion of others. Our discussion escalated to love and hate, after presenting respect as a must, since we are all humans and have dignity. One of my youngest students asked, “But how can I respect my enemies? I left my home and my friends, because of them. I hate them!” This seven year old child has hated more than he has loved in his life, has lived in instability more than in peaceful conditions, and continues to open his eyes in a home where the main subjects of discussions are war, invasions, and casualties. What kind of generation is being raised? How can an individual who has never lived in a peaceful condition fight to achieve one? Written by Natalie Margossian, a current intern from Lebanon at the WYA Middle East office. Every year, WYA Declarations are negotiated and crafted at the International Solidarity Forum where selected members from around the world examine a relevant issue in the arena of international affairs. Declarations represent the voice of young people in the field of foreign diplomacy with the aim to promote the dignity of the human person.